7 from 7 for CCU! All photos taken by our legendary photographer Scott Gardiner! The boys bounced back from last week's disappointment in clinical style, putting seven goals past Wagga. However, the game was closer in parts than the scoreline suggests and it was Wagga who took the lead early in the first half, which then seemed to awaken the boys from a slow start. Pete Stewart equalised soon after with a strike that curled into the top corner from the edge of the penalty area. A further 3 quick goals from Matt Zuconni, Charlie Buffon and a second to Stewart had the team 4-1 up at half time. The start of the second half mirrored what happened in the first with Wagga pressing and looking lively through their quick number 9. As the half wore on, the boys took more control and some great combination play out wide resulted in a Luke Jacobs volley at the far post to put the score to 5. Captain Noah Ajala got on the end of a Mitch Wood corner to increase the lead and fittingly, the goals ended with a brilliant chip by Pete Stewart for his hat-trick. With one game remaining, the team sit top of the table on goal difference and have a tough trip away to Prospect to finish the league campaign. After last weekend's loss, this game was a great way to bounce back with a strong performance at home. Once again, every player had to play a part with Jack Ormsby coming off due to injury we had to make a reshuffle. Ethan Barrett and Liam Broughton both made their first starts in a few weeks and both had very solid games. Jayden Jackson got the goal he deserved in the second half as well. TD Dean Heffernan said, "overall a very good performance as we look forward to this week's challenge against Prospect". A test of character for the team coming off their first league defeat last week. The task was made more challenging with suspensions to both skipper Daniel McFarlane and Tommy Mallet and game day withdrawals due to sickness from keeper Jack O’Mally and experienced center back Graham Toope testing the depth of the CCU squad. The boys came out of the blocks firing and scored two within two minutes, Alex Arbelo feeding Adam Woodbine on the edge of the box who finished his one on one with the keeper clinically. Nathan Blunden, a late inclusion for Toope, then played a nice ball to Josh Swadling down the left who burned the full back and crossed perfectly to Cade Mapu in the 6 yard box to double the lead. The boys continued to demonstrate a winning mentality and a desire for more goals and the game was put to bed before half time with 3 more goals, most notably Adam Blunden finally breaking his duck. 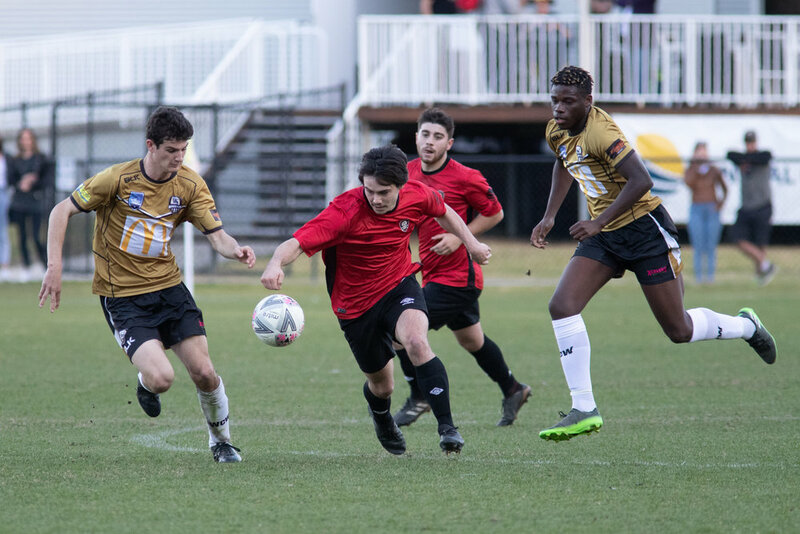 The second half was highlighted by a quick fire hatrick to 18’s striker Peter Stewart making his first grade debut with 20 minutes left to play and highlighting his tremendous potential, actually making it 6 goals for the day having also scored 3 in his 18’s game. The final score finished 10-0 at full time. Coach Davis was delighted with the response after last week’s disappointment. “It’s always a test of character and attitude after a loss and regardless of the opposition put in front of you, as a football club we can only continue to drive the standards and values we believe in. Given the number of changes it’s been an outstanding day for all 3 grades and I’m extremely happy with the players that have come in, some young players making their senior first grade debut’s, it bodes well for the future!” The team will head to Prospect this weekend for their final game of the regular season. Throughout the week the 13's worked on creating space and exploiting it quickly. The aim was to stop the ball being held up in the middle of the park and start shifting the defence quickly. The boys came out and executed on that well. The 13's created plenty of opportunities and converted 6 all up. Toward the end of the game, the team's structure started to disappear and too many players were pushing too high. Coach Owen said of the game, "we need to continue our work and ensure we maintain our focus and composure for the full game. Overall a fantastic performance and really proud of the quality of play and effort from the whole team". The 14's game plan against Gladesville was to keep the ball and transition quickly to regain possession when the ball was lost. Unfortunately, this was not the case as the team were stretched, which lead to a lot of opposition play coming through the midfield. The 13's played well in patches, putting together some nice team combination play. Although the game wasn't pretty, the boys winning mentality helped them bring the game home, as they worked together to secure a 4-2 win. 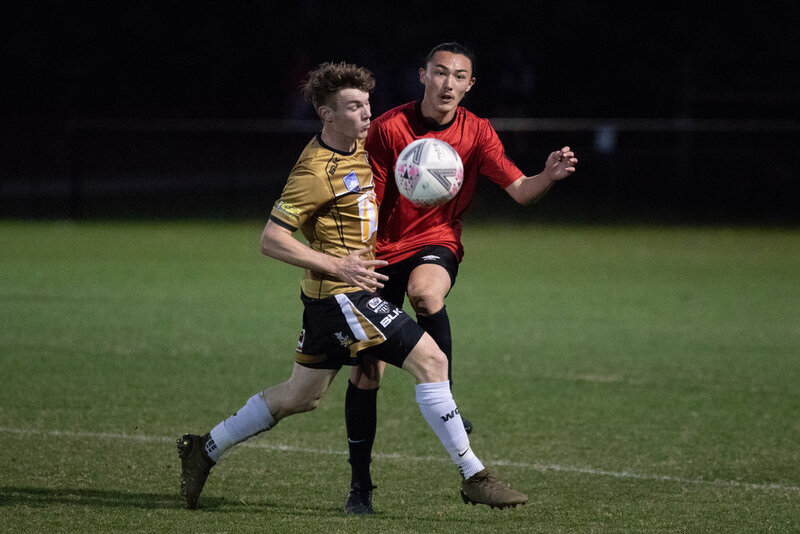 The U15's returned home for their final match at Pluim Park and make the most of what the ground allows, deciding on a more attacking, high pressing style of football with emphasis on buildup play to compete with Gladesville. This match clearly showed some of the individual development of various players, adding extra defensive intensity, whilst dictating tempo late in the game and diversifying roles. It was another great match with a clear week of training ahead for the 15's in preparation for a tough month ahead. Coach Nathan Herbert couldn't be happier with how the team are playing together and continually developing each week. Watching Gladesville's progress throughout the season, the 16's knew it would be a tough game to get a positive result. This proved true as Gladesville came out firing, matching CCU everywhere on the pitch with a high intensity press and some dangerous attacking play. Neither side could break through for the majority of the game, but the CCU boys did well to keep their heads and keep playing their style of football without resorting to long balls or becoming too direct. A nice team play saw attacking midfielder Josh Wallace break through and place a goal which would win us the game. Coach Jake Gomez said of the game, "with plenty of chances going amiss, the 16's will need to refocus on their composure in front of goal. Whilst we have stayed defensively solid recently, we will look to display a more complete game if we are to succeed going into finals."